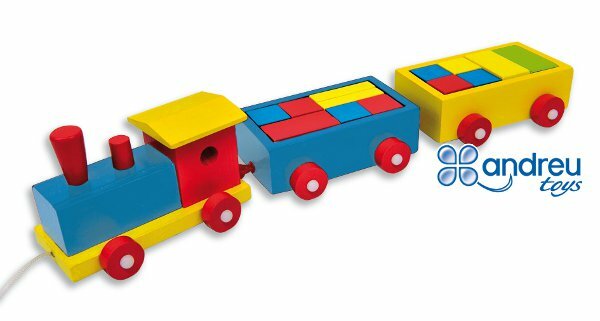 Nice pull along train with wooden colorful construction blocks. Made of wood. Size: 40 x 6 x 8 cm.